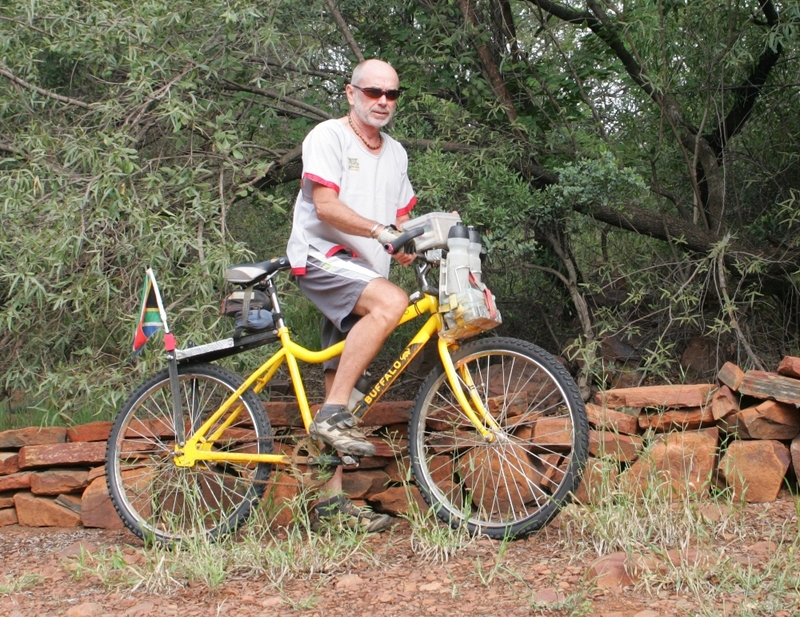 Colin Cooper (60, retired engineer) and his daughter Bianca (30, doctor) are planning to take on a mammoth challenge to raise funds for Qhubeka. The pair plans to cycle 300km of dirt roads in just 24 hours, as they follow the Groot Marico River from its source, the Eye, to its end at the Crocodile River confluence, where it becomes the Limpopo River in Botswana. Their ride will take them through Big Five territory in the Madikwe Game Reserve. 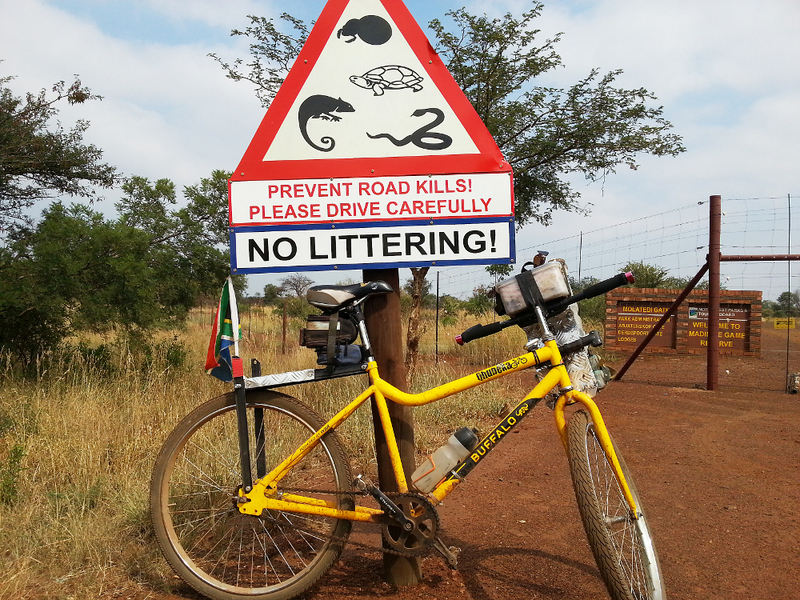 What’s more, the intrepid adventurers plan to do this entire journey on a single-speed Qhubeka bicycle. Colin notes that the world cannot continue like it is, exploiting resources unnecessarily. Part of his aim with this ride is to get away from the consumerism, materialism and technology obsession of the modern age, focusing once again on a simpler way of living. For this reason, the Groot Marico Ride, like all other cycling trips organised by Colin, will be tackled without many of the modern cycling staples, like Lycra kit, energy supplements, cycle shoes, state-of-the-art bicycles or tech gadgets (including smartphones, GPS, heart-rate monitors and power meters. Instead, Colin and Bianca will wear locally made cotton clothing and regular tekkies (sneakers) with old-fashioned pedal straps. Instead of sports drinks or soft drinks, they’ll hydrate with water from the river, and will eat home-made food, not energy bars or pre-prepared meals. They’ll navigate using a map and compass, and will ride the steel-framed Qhubeka bikes, which weigh 24kg. Colin and Bianca will be supported by three back-up vehicle personnel: Ed La Rose (driver and navigator), Geraldine Bennett (freelance journalist) and Arno Faul (photographer and motivational expert). Colin has ridden the route before, over a five-day period. It begins at the spring at the Eye of the Marico in North- West Province and heads north through Groot Marico, along the shores of Molatedi dam, west into Madikwe Game Reserve (Colin and Bianca had to get special permission to ride here, as it’s Big Five country), across the border at Derdepoort into Botswana and finally north-east along the river to the confluence. Follow Colin and Bianca on Facebook to track their preparations and progress. To support Colin and Bianca by contributing towards his Groot Marico Ride fundraising efforts, you can make a donation in their name (using Groot Marico as a reference) with the bank details below, or through PayPal. If you’re undertaking a sporting event and you’d like to raise funds for Qhubeka, consider riding on us.